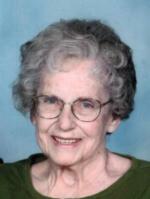 Rosemary C. Socolovitch, age 77 of Riggsville passed away Sunday, December 12, 2010 at Cheboygan memorial Hospital. She was born December 3, 1933 in Detroit to Michael and Mary (Deines) Kanyo. On February 20, 1954 at Sacred Heart Catholic Church, Rosemary married Edward Socolovitch who survives. Rosemary was a member of Sacred Heart Catholic Church and enjoyed baking goodies and decorating for the holidays with her grandkids, knitting, flower gardening, ceramics, making porcelain dolls, sewing dresses for her granddaughters, playing Bingo and doing word search puzzles. She and Ed also enjoyed attending tractor pulls, going to the flea market in Shipshewana, IN and the horse auction in Topeka, IN and participating in the Wagon Train from Mackinaw City to Kalkaska which raised money for the American Cancer Society. Besides her husband Ed, Rosemary is survived by her seven children, Mike (Debbie) of Cheboygan, Susan (Roy) Sorensen of Riggsville, John (Kelly) of Coral Springs, FL, Steve (Debby) of Riggsville, Charlie (Laurie) of Riggsville, Mary (Neil) Downing of Cheboygan and Beth (Steve) Buhr of Riggsville, 17 grandchildren, four great grandchildren and her sisters-in-law, Virginia Tryban, Margaret Surabian, Gertrude Doyle, Barbara Kanyo, Helen (James) Loew and Ann Allbers. She was preceded in death by her parents, one brother, Kenneth Kanyo and a child in infancy. Visitation will be held at the Nordman-Christian Funeral Home on Wednesday, December 15, 2010 from 2-4 and 6-8 pm with a Rosary being prayed at 7:00 pm. The funeral mass will be held on Thursday, December 16, 2010 at 11:00 am at Sacred Heart Catholic Church with additional visitation one hour prior to the service at the church. The Rev. Paul Megge will officiate. Memorial contributions in Rosemary’s name may be directed to Sacred Heart Church or Larson Hall Activity Fund.